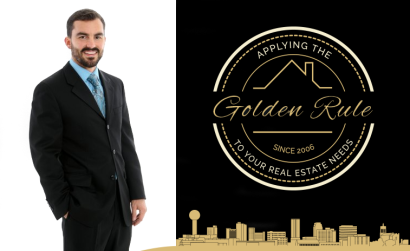 Applying the Golden Rule to Your Real Estate Needs! Good communication, very knowledgeable about the market, and shows a real interest in the clients needs. We appreciate all the time and effort that you expended on showing the house. It does not seem like a week went by that you were not showing it at least a couple of times. Thanks Erik for never giving up and you got the job done!!! Excellent, worked diligently on my behalf to ensure I was getting a great deal and felt good about the purchase. Very knowledgeable about the market, good feedback throughout the selling process. This was my first time buying a home and it was more difficult then I thought it would be, but Erik stayed positive and helped with all my questions and stressful moments. Enjoyed working with Erik. Even with the problems we experienced with the closing, you made it seem like it was a seamless process. My hat is off to you for making it through and completing the sale. Erik was a pleasure to work with. He was enthusiastic and kept the goals of selling this house at the best price. We thank you for your serious efforts to bring us buyers and then especially thank you for working through all of the unexpected damages that required extra calls and work. We thank you for your professional competent services. Erik is very personable and helpful, and was a pleasure to work with. Erik is great! Will have tons of houses lined up for you to look at and work hard to get you what you want. Always pleasant, professional and a joy to have as an agent. Let him work for you..... you won't regret it! Erik is a very nice, cooperative, and hard working real estate professional. He always tries to help his clients find a good property. He respond very fast, I like this. "I appreciate all that Erik did to sell my property. He was very zealous and dedicated to selling the property. He always conducted himself professionally and I felt that he was honest in his transactions"
Knoxville Ranked 7th in Zillow’s Top 10 List for 2017!